What does the competitive wave entail? Each race has a competitive wave, which is the first wave of the day, for those who wish to run with some of our strongest Warriors. The top 10 males and females finishers from the competitive wave will qualify for OCR World Championships and North American Championships. The top 3 male and female finishers from the competitive wave will ALSO qualify for the "Pro Division" in the North American OCR Championship. The 2019 North American event will take place August 9th-11th in Stratton, Vermont. The 2019 World Championships will take place October 11th-13th in London, England. If you are already registered for another wave and would like to transfer to the competitive wave, please email us HERE and we can transfer you. You can also log into your EventSprout account and transfer yourself into this wave. Please note that the competitive wave will not be officially timed, but the top runners will be placed by race officials. *You MUST place in a competitive wave in order to qualify for the North American OCR Championships and/or the OCR World Championships. 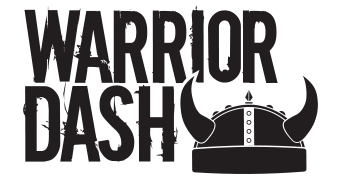 *If your Warrior Dash event takes place after the US OCR Championship or World Championship- you can still qualify for the 2020 Championships. What if I cannot complete an obstacle? What are Preferred Waves? How much do they cost? What's my wave time? How do I change it? Do you have a kids course?